One cold winter afternoon Julie and Jon hiked up to the ice-bound Maligne Canyon, and amongst the frozen waterfalls Jon got down on one knee and asked the love of his life Julie to be his wife. The story of their sweet proposal combined with their adventurous spirit lead them to plan a beautiful Fairmont Jasper Park Lodge wedding. 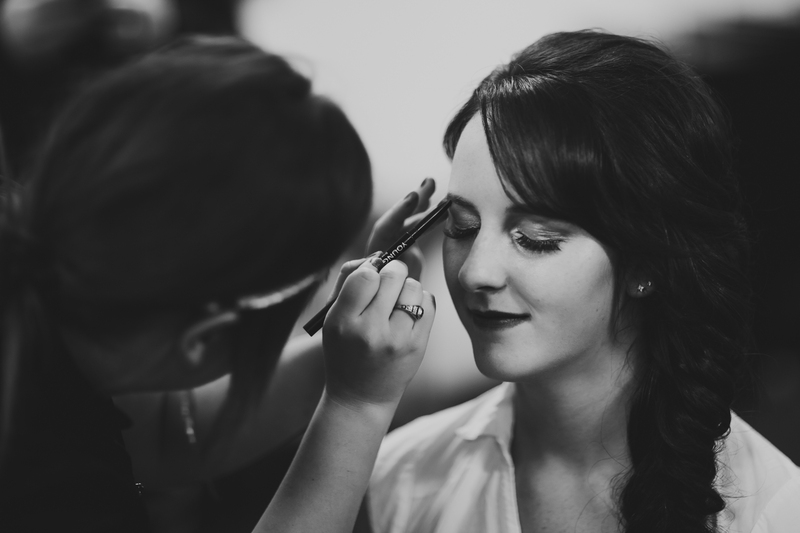 We first met Julie and Jon while photographing a wedding back in 2012. Jon was part of a very energetic wedding party, so naturally we got to know him and his girlfriend that day. It was a wonderful surprise to receive an email from them a few years later saying that they were engaged and wanted us to photograph their wedding day. 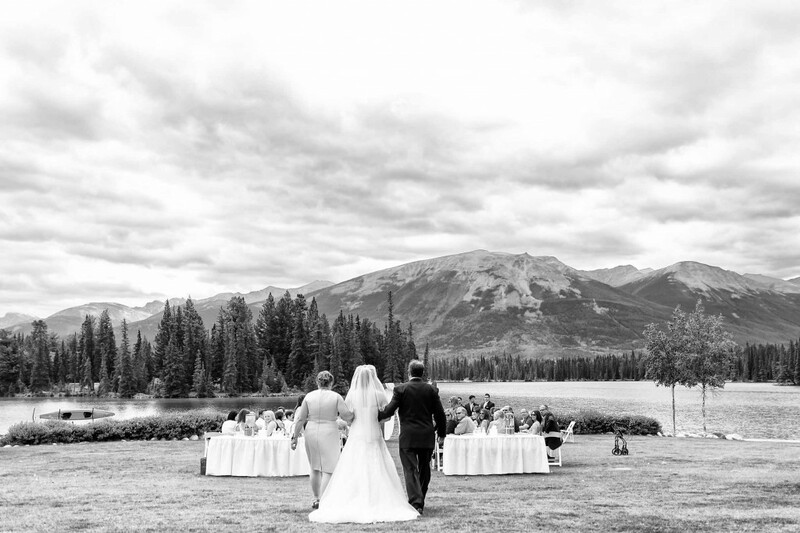 Julie and Jon had planned for their wedding ceremony and reception to take place at the Maligne Lake Lodge, however, nature had other plans. Ten days before the wedding a wildfire broke out in the valley near Maligne Lake and the entire area was evacuated. With some quick thinking and re-planning, Julie and Jon moved their wedding celebration to the luxurious Fairmont Jasper Park Lodge. We were reminded of the wildfire just as the ceremony was about to get underway as a water bombing helicopter flew overhead heading to fight the fire. It was an absolutely stunning wedding set against the bright turquoise waters of Lac Beauvert. As Jon caught his first glimpse of Julie coming down the aisle, he (and everyone else) could not help but shed a few tears of happiness. It was a beautiful day for a mountain wedding full of family, friends and more love than you could ever imagine. As part of their first dance, Julie and Jon had prepared a traditional Romanian dance to celebrate Jon’s family heritage. Congratulations Julie and Jon and thank you for inviting Jasper wedding photographers Deep Blue Photography to capture your Fairmont Jasper Park Lodge Wedding!